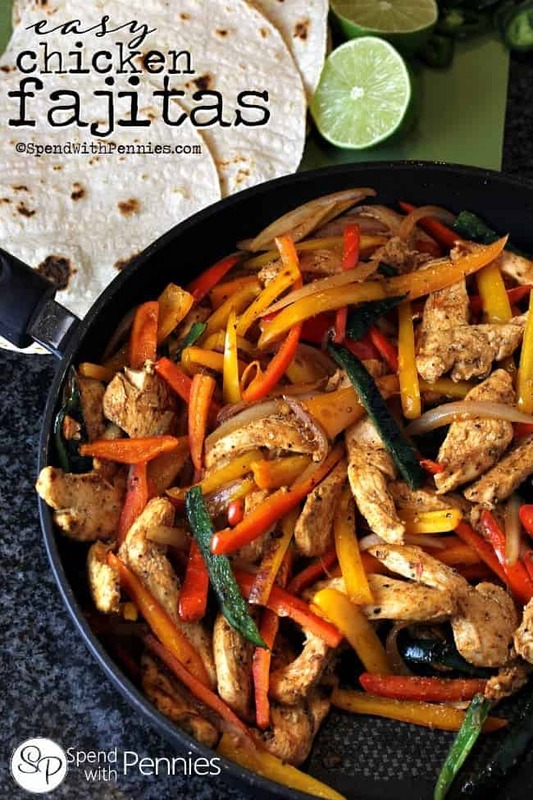 Easy Chicken Fajitas are one of our all time favorite dinners. Tender juicy chicken breasts, fresh crisp peppers and sweet onions tossed in an easy homemade seasoning and piled high in tortillas. Top these easy fajitas with cheese, sour cream, lettuce and Pico de Gallo! We love fajitas in our house! 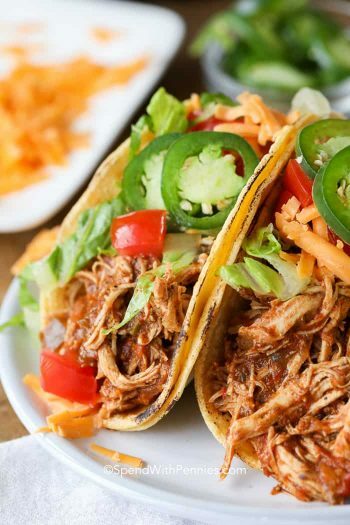 Not only are they delicious and healthy, they’re one of my all time favorite Mexican foods! These Easy Chicken Fajitas are the perfect weeknight meal because they’re on the table in about 20 minutes start to finish! I used a combination of red and yellow peppers and also added in a sliced poblano pepper as well as it was what I had on hand! These are quite forgiving so you can add in whatever you like! These chicken fajitas are flavored with an easy homemade seasoning. While you can purchase fajita seasoning packets, I find combining my own spices not only adds more flavor but has less salt and additives. In a pinch you could use taco seasoning (but add a little bit of extra ground cumin if you have it on hand). This chicken fajita recipe is a total breeze to make! The chicken is flavorful and juicy while the peppers are perfectly tender crisp! 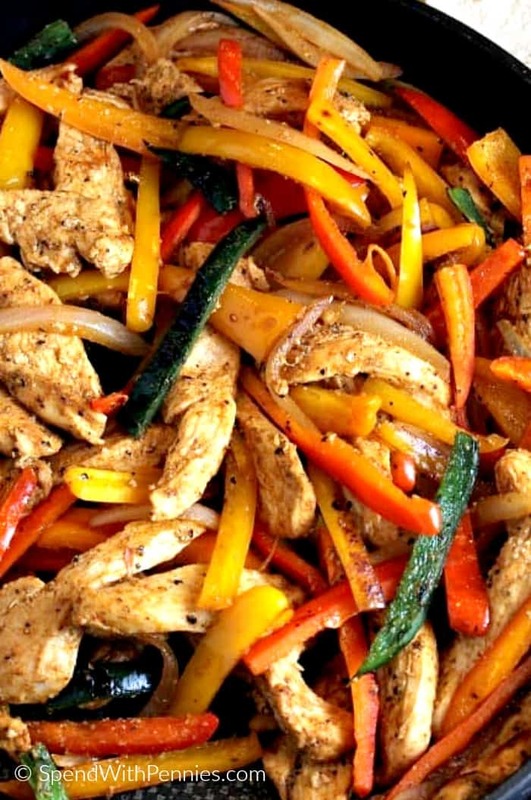 You can have delicious chicken fajitas on the table in just 20 minutes, including prep! Cook chicken in olive oil in a pan, add veggies. (You can make fajitas on the grill if you prefer). Fill your tortilla shells with your favorite toppings! Be sure you don’t overcrowd the pan with your chicken or it won’t brown nicely (I do two smaller batches). I usually soak the onions in cold water while I prep the rest of the ingredients to take a bit of the “bite” out of them for my kids. This step is optional of course! We top ours with lettuce, tomatoes, cheese, Homemade Salsa and sour cream… but you can get creative with the toppings making it a fun family meal! Olives, shredded veggies such as carrots or cabbage, guacamole or avocados, they all making amazing toppings! We serve this with a side of Spanish Rice, Crock Pot Corn on the Cob and our favorite Mango Margaritas for a perfect meal! These Easy Chicken Fajitas are the perfect weeknight meal because they’re on the table in about 20 minutes start to finish! Cut onion into slivers & slice peppers. In a separate bowl, combine 1 tablespoon olive oil, juice of 1/2 lime, chili powder, paprika, onion powder, pepper, cumin and salt. 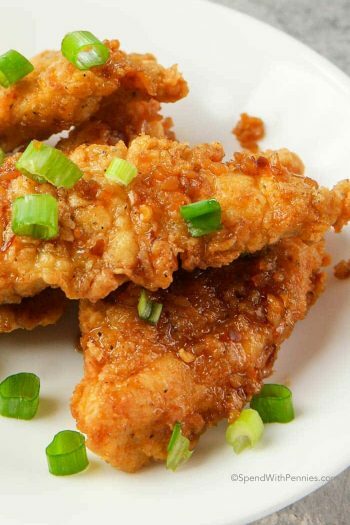 Cut chicken into strips and toss with the spice mixture. Preheat 1 tablespoon olive oil over medium high. Add 1/2 of the chicken and cook until just cooked, about 3-5 minutes. Remove from pan and set aside. Repeat with remaining chicken. Set chicken aside and add 1 tablespoon oil to the pan. Drain onions well and cook 2 minutes. Add in sliced peppers and cook an additional 2 minutes or just until hot. Add chicken back to the pan and stir to combine. Squeeze additional lime overtop and serve over tortillas. Optional: If I am serving these to kids, I find soaking the onions in cold water for a bit takes a bit of the "bite" out of them. Yes…. as written, these Chicken Fajitas are healthy. 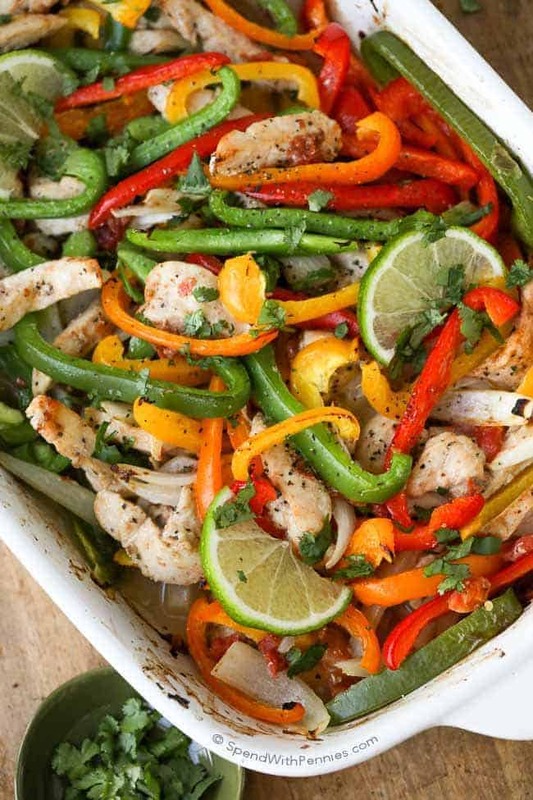 The fajita filling in this recipe is definitely healthy, lean chicken, fresh peppers and homemade seasonings with a dash of olive oil. I personally love to serve these with corn tortillas since I love the flavor. If you’d like to have these as a healthier option, be mindful of your toppings. Consider using low fat cheese and even use Greek yogurt in place of sour cream. Load them up with crisp lettuce and juicy ripe tomatoes too! Amber at Dessert Now Dinner Later has a wonderful recipe for Homemade Flour Tortillas (I can’t wait to give them a try)! Mmmmm, yummy. I’m going to make these fellas tonight. How can I cook this in the instant pot? Can I just add a little water and cook it all together or should I sauté the chicken first and then add the peppers? These fajitas take just minutes to cook in the frying pan so I haven’t tried to cook it in the Instant Pot. If you are using an IP, you might just like to add oil and sear in on the SAUTE setting. I got my husband (grillmaster supreme!) a Camp Chef flat-top grill for xmas and we tried it out for the first time tonight with chicken fajitas. 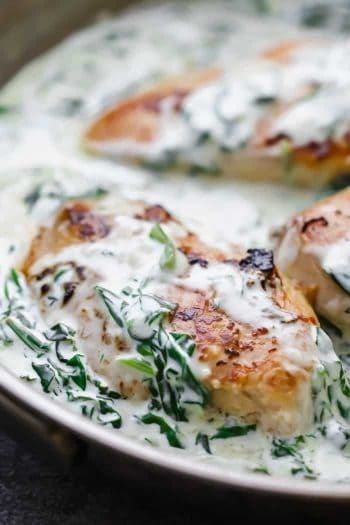 We followed this recipe, using boneless chicken thighs, and it was superb! The spices were right on point. I used a Chipotle Chili Powder, which added even a little more smoke, and also added 2 seeded sliced jalapenos to the peppers, which may have been a little too much for the hubby but worked for me just fine!. Thank you, Holly, it was truly delicious!!! You’re so welcome Abbie! I’m so happy to hear that you love the fajitas! Colourful, delicious, quick and simply healthy! Everything I needed tonight. I’m so glad you enjoyed them Serena! Great food photos. It looks so good. I’m glad you got it :) Enjoy the fajitas! 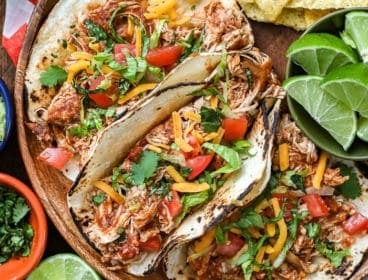 I’m having a hard time finding the recipe for the fajita seasoning, can you direct me to that link? The spices listed in this recipe make up the fajita sensing mix Michelle. You don’t need a separate fajita seasoning. Hope that helps! I can’t see the temp and for how long. The stovetop should be set to medium high, and the cook time is about 15 minutes. How much did the boneless, skinless chicken breasts in your recipe weigh? Three chicken breasts is a little vague since chicken breasts come in different sizes. Thanks! 3 boneless skinless chicken breasts is about 1 1/2 to 2 pounds. Enjoy, Jeannette! Thanks for this recipe! 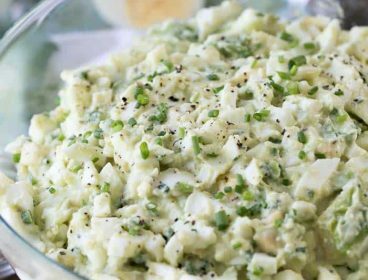 Easy, quick and delicious! Thank you for this recipe! Easy , quick and delicious! These are easy to make and delicious. The lime juice and smoked paprika really add a nice flavour. Thank you for a great recipe. The toppings and creative ideas for additions to the basic recipe are so helpful! Any chance the notes section in the recipe print page could include this info to keep it all together? Delicious! Whole family loves it! This was awesome!! 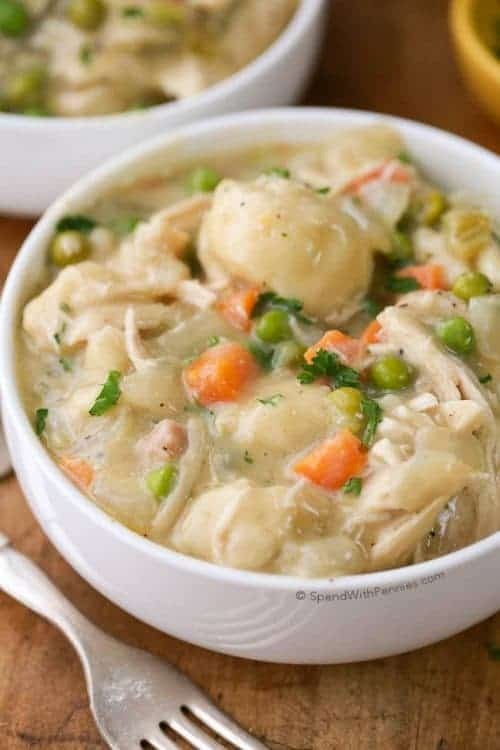 My family loved it and I will be making this again!! We have “taco Tuesday” once every week and this will now be added into our rotation of Mexican dishes! My wife loves fajitas in general, but absolutely loved when I made this recipe. Thanks! This was very good & mild. I will put this in my rotation. I did not have lime but used lemon instead & only used a few pinches of smoked paprika. I also added 2 pressed garlic cloves to the chicken. For 21 day fix do you do everything in a separate container to get container count? Yes, I measure separate containers. OMG (Oh! My! Gourmet!) This is the best fajita recipe EVER!!!! It’s definitely going in the “Go-To” recipe box!! Are we adding the whole cumin or powdered cumin? I am planning on trying your easy chicken fajitas recipe. I am currently on the 21 day fix diet. Can you please send me the portion size and container breakdown. Thanks! So good! I’m wondering if that last tablespoon of oil is necessary (for the veggies) since there’s a lot of liquid in the skillet after cooking the chicken. I may give that a try next time. Thanks for the recipe; will definitely make this again. So glad you loved it! This is one of our favorite weeknight meals! Made it last night. The family loved it. Added a touch of adobo seasoning. Da bomb! I am so glad your family enjoyed this recipe! This was absolutely delicious and a total breeze! Thanks for the healthy, quick dinner!! If I need to keep the meat and veggies separate, could I toss the veggies in the seasoning Andy lime juice too? Sure you could, that would be great! It turned out very yummy. I am proud of these fajitas. I had tried other recipes but this one is a keeper. 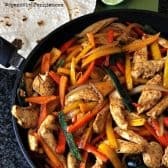 I made this a few weeks ago, and it is by far the best fajita recipe we have tried!! (Beat the heck out of Chili’s and Applebees!) Thank you for sharing. I’m thinking I’m going to try it with some thin sliced pork filet cutlets!! Thank you again!! How awesome! Glad that you enjoyed them :) We think these fajitas taste amazing! I didn’t have chicken so I used skirt steak. Oh my goodness, these were so good! These would be great with beef! Such an easy recipe and I loved it! I tweaked it a little and added more spice with extra chili powder and jalapeños but it was amazing! Thank you so much for sharing ! 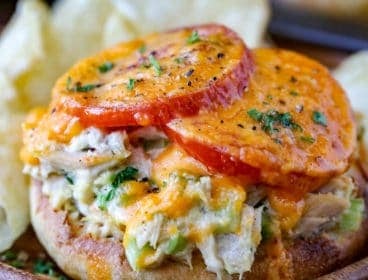 I make this recipe all the time people would have never guessed that they were weight watchers approved! !so great! Even made a huge batch for a taco bar night and everyone loved them! 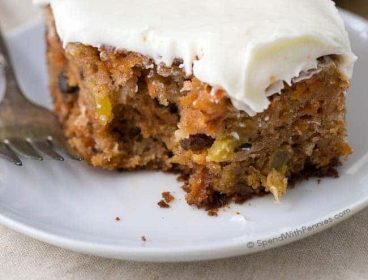 Is this recipe a serve immediately recipe or is it okay to make and portion out and put in fridge until ready to eat? I eat this as leftovers and it reheats perfectly. I would suggest making the filling and then when you’re ready to eat, just heat the filling portion and prepare your fajita. 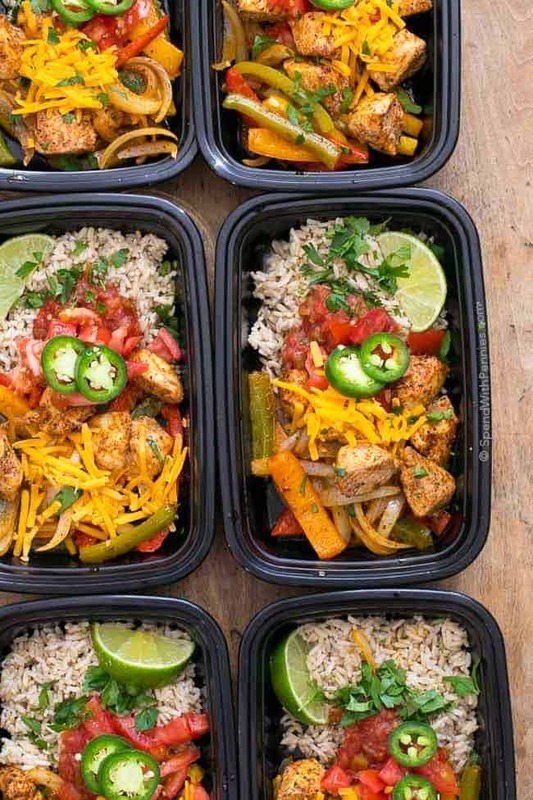 What is the portion and container count for 21 day fix? I added butter and garlic to the olive oil to cook the chicken and topped the fajitas with cilantro, avocado, cheese, and corn! Yum!!! Cheri, Oh. My. Yum!! That sounds really good! I will be trying that myself! 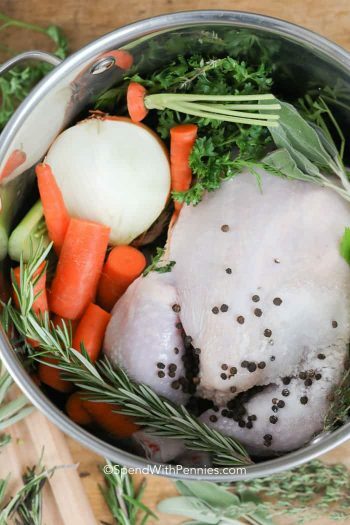 Do you think this would be ok in the crock pot? Thanks. I wouldn’t recommend cooking this recipe in the crock pot. I am so glad you enjoyed it Breeze!! Was just curious as to why you cook the chicken in two batches instead of just all at one time. I’ve never seen that before in fajita recipe directions. I personally have had to when all I had was a small skillet. -ps-I like your tip about the onion and I’m going to try it. -Thanks! I just find it cooks better and caramelizes a little better for me if the pan isn’t overcrowded. If you have a large enough pan, by all means do it at once! One serving is how much of which containers? I will make this weekend! Do you happen to know the container count per serving for 21 day fix? Just what I was looking for! Thanks for recipe!! Keep them coming! Holly is my aunts name and that’s what were having tonight. Excellent ! Definitely will be a repeat in my house ! I’m so glad you enjoyed it! I’m sorry I am unable to provide nutritional information. You can enter your ingredients here to calculate your calories. May I ask why the onions soak in cold water? I’ve never heard of doing that before and wondered what the benefit is? I’m always looking for tips!! 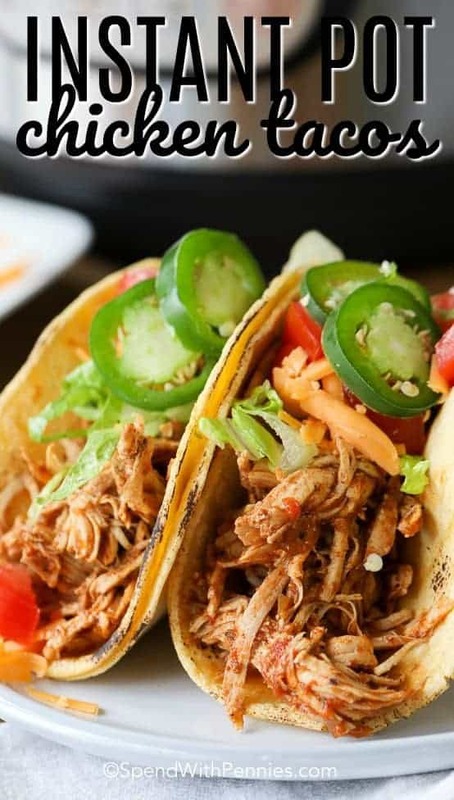 Great recipe, i needed to look up a chicken fajita recipe for tomorrows lunch, this is perfect. 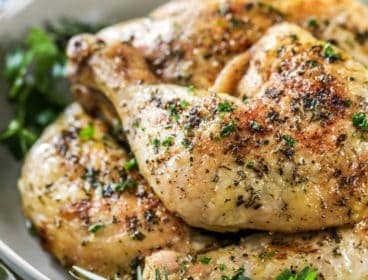 I’m planning on making this recipe for my firehouse tomorrow on shift, should I cut the chicken into strips before adding to the pan? Yes, you’ll want to cut the chicken and toss it with the spice mixture before adding to the pan. 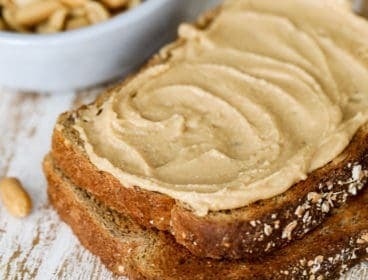 My family went NUTS over this recipe! I made this for my boy friend’s dinner which we had with my family and everyone raved about how good this was! Comments I received from my family: ” it was the best fajitas they have ever had”. And it’s very easy! this recipe was so good!! Definitely a keeper! I really wish you could tell us how many servings your recipes are.